Second-graders from St. Rose Elementary School went on a field trip to their local public library branch in St. Rose. They toured the library to learn all of the resources available, had story time and completed a craft related to their Cinderella unit in class. Many students even received their very first library card and got to check out books. 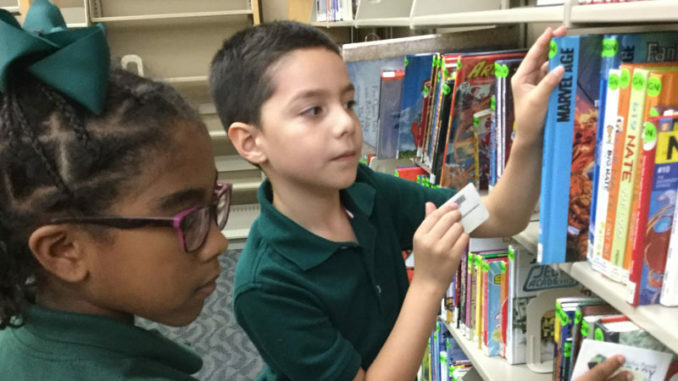 Pictured are students Carmen Smith and Abraham Martinez choosing a library book.